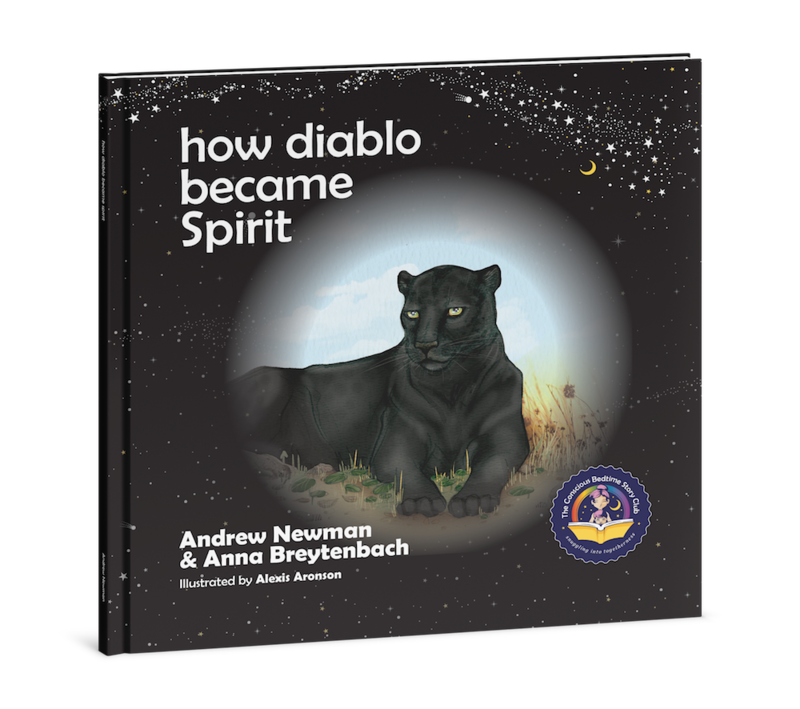 Products / HOW DIABLO BECAME SPIRIT, Showing children how to connect with animals and respect all living beings. 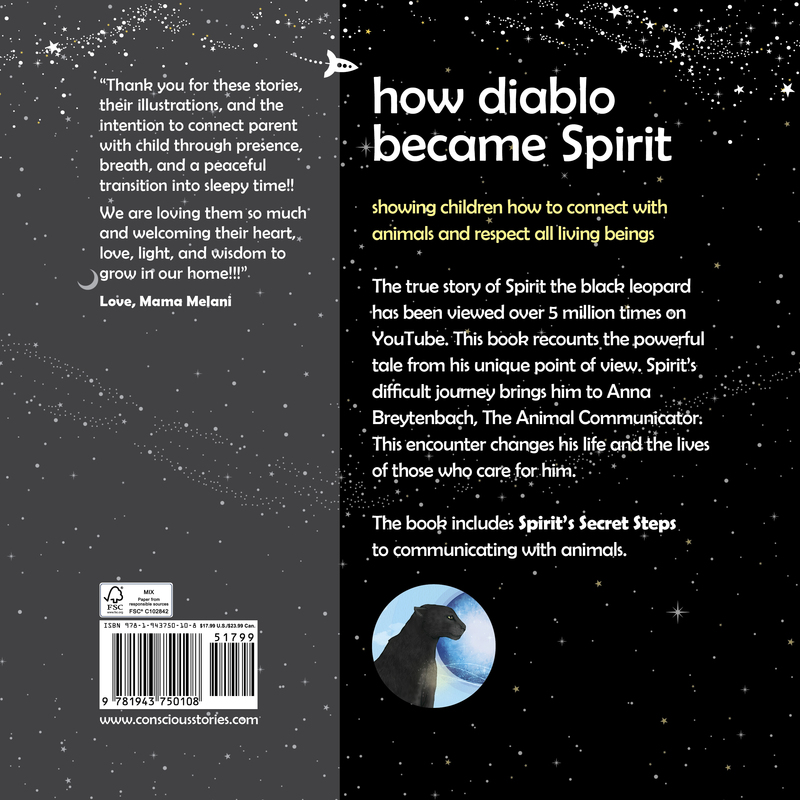 HOW DIABLO BECAME SPIRIT, Showing children how to connect with animals and respect all living beings. 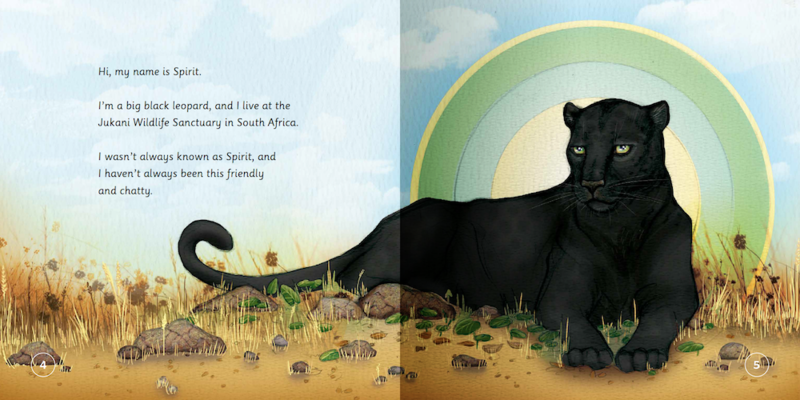 Based on a true story, this wonderful bedtime tale for kids ages 5 through 12 tells of the difficult journey of Spirit the black leopard, told from his own point of view. 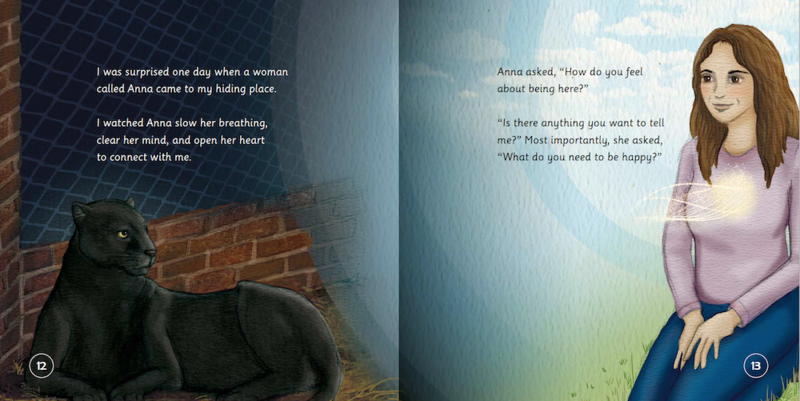 An animal communicator helps Spirit to change his life, which also changes the life of those who care for him. Spirit’s amazing story has been viewed over 5 million times on YouTube. Beautifully illustrated, this book, which is part of the Conscious Bedtime Story Club collection, is a sure-fire winner for parents seeking conscious parenting tools. 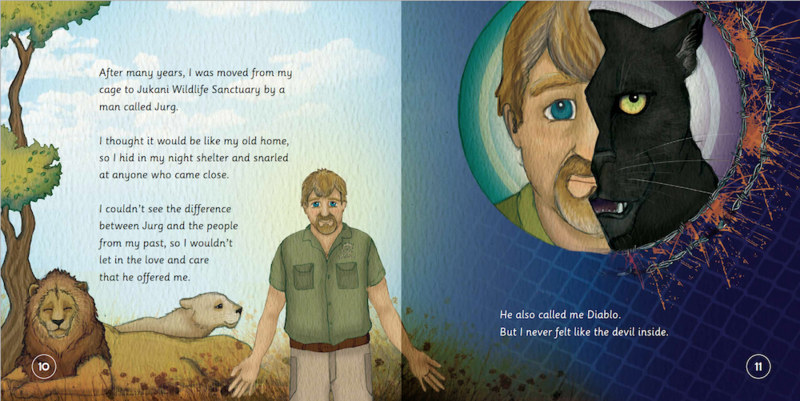 This book will help children recognize and appreciate all life forms, including animals, as the sentient beings that they are. 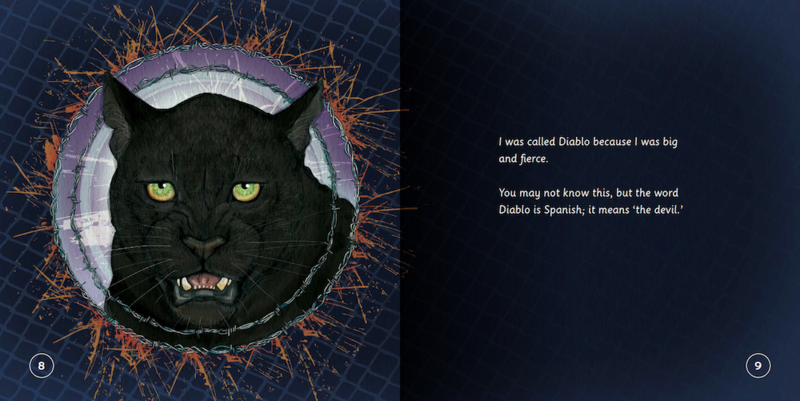 How Diabolo Became Spirit ends with Spirit’s Secret Steps for communicating with animals. This reflective activity page leads the reader through the process of opening and connecting to their favorite animal. INTERNATIONAL SHIPPING: We're working to reduce international shipping costs to get books from Denver to you, but for now, we've found the sweet spot on international orders to be at two to five books. With just one book, you may pay more in shipping than on just a single-book order. International Shipping ranges between $19 - $45 depending on quantity of books ordered. Please email mama@consciousstories.com if you have any questions at all. We hope this helps you in your ordering!